I have a strange fondness for festive garlands. 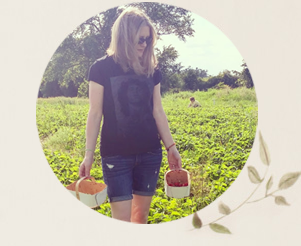 At least I know I'm not alone, because I see bloggers all over the web with various colours, shapes and types of garland for all occasions - birthdays, Valentine's Day, Christmas and even everyday garlands. I love the Valentine's Day garland the kids and I made so much that, this year, I really wanted to make a Christmas garland. I decided to make one using colourful pom poms. 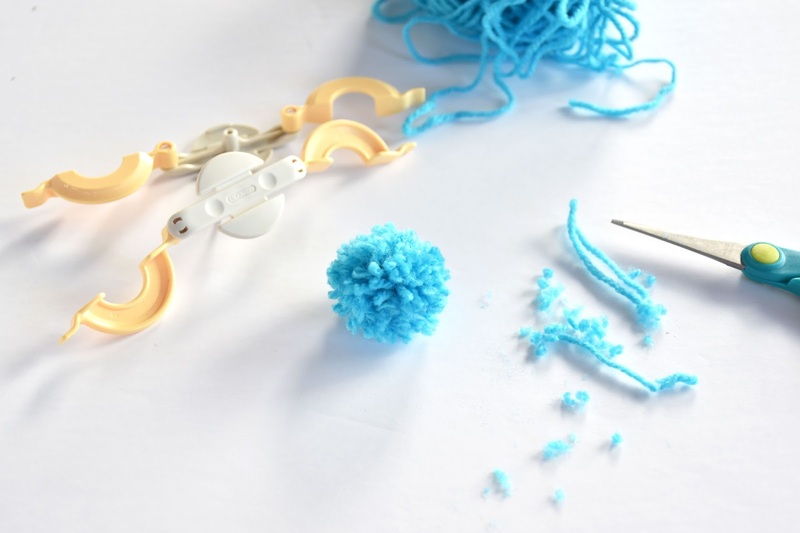 Then I began to experiment with various ways of creating pom poms - a fork, my own fingers, a circular cardboard template. None of these methods quite satisfied me. I found it difficult to get the scissors into the fork to cut the yarn. I'm not that coordinated using my hand as a "template." And the cardboard template was just a bit annoying to wrap around. 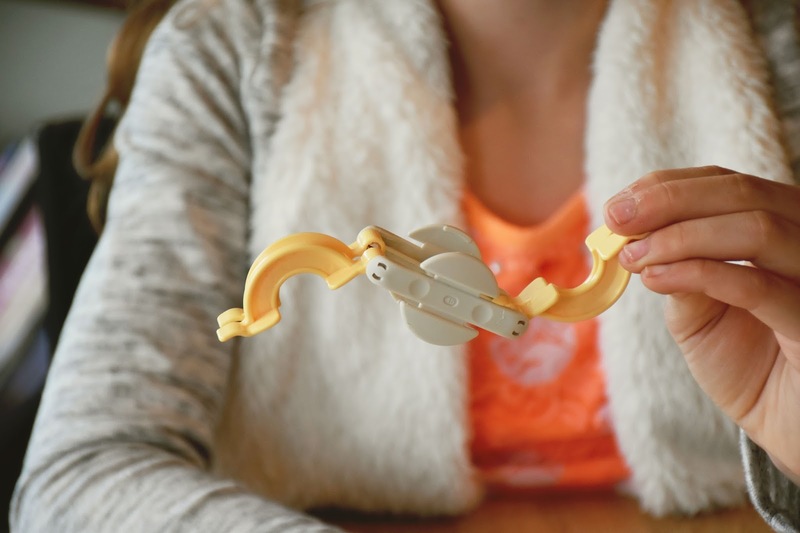 When I spotted the Clover Pom Pom Maker on the web, I was intrigued. 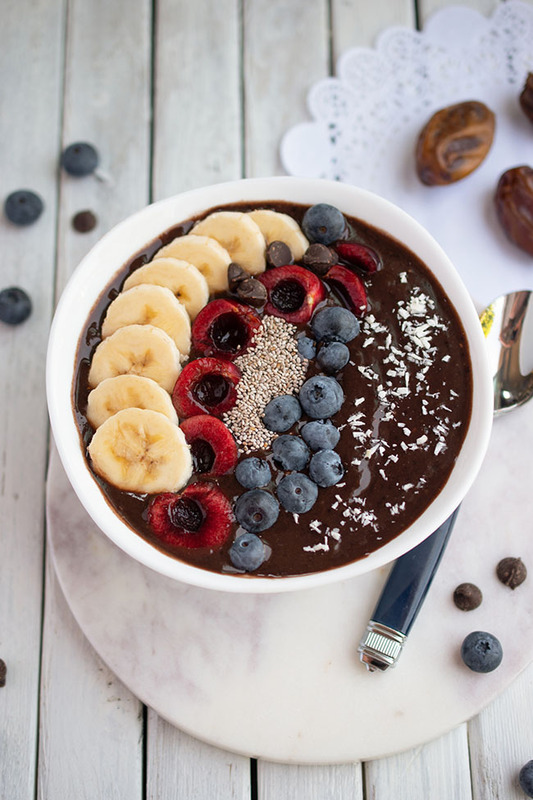 It promises perfect pom poms every time, and it's quite affordable. 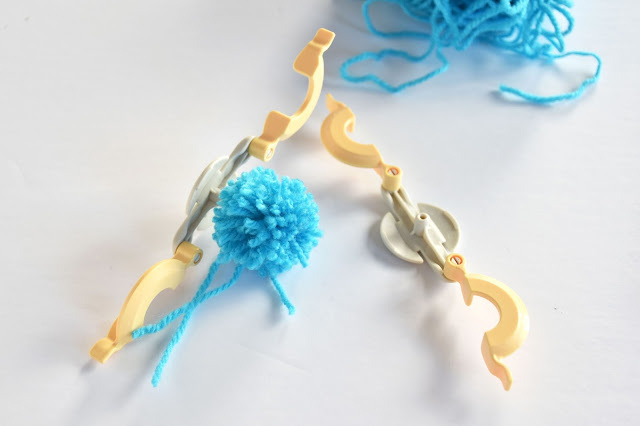 If you are in the U.S. you can get the package of two small pom pom makers for about $5. I bought mine at Michaels here in Canada. I used one of their 50% off flyer coupons to get it for about 5 bucks. We used the 1-5/8 inch Clover pom pom maker for our garland. 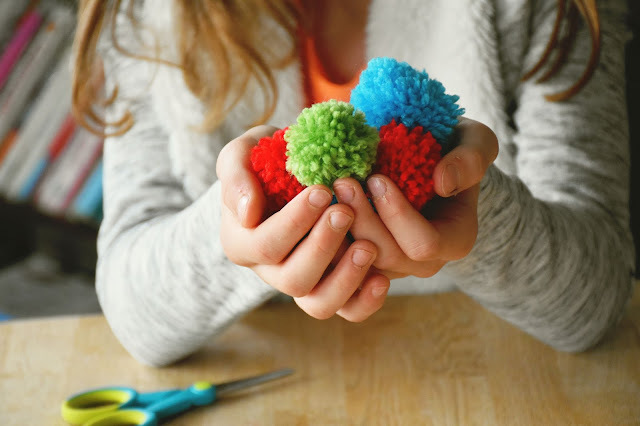 The kids and I found the pom pom making process so easy with the help of this crafty aid. It became addictive actually, which is a good thing, because you need several pom poms to make a garland. Ours has 49 pom poms! The three of us made them over a few days and it wasn't a difficult task. Here's what the Clover pom pom maker looks like opened up, above. We decided to go with red, white, green and blue pom poms for a Christmas feel that's not too literal. We have a lot of red, green and blue ornaments that go on our Christmas tree so we wanted to create a unified colour scheme in the family room. Obviously you could do this garland in whatever colours you want - red for Valentine's Day, pastels for Easter, multi-colour for a child's bedroom. 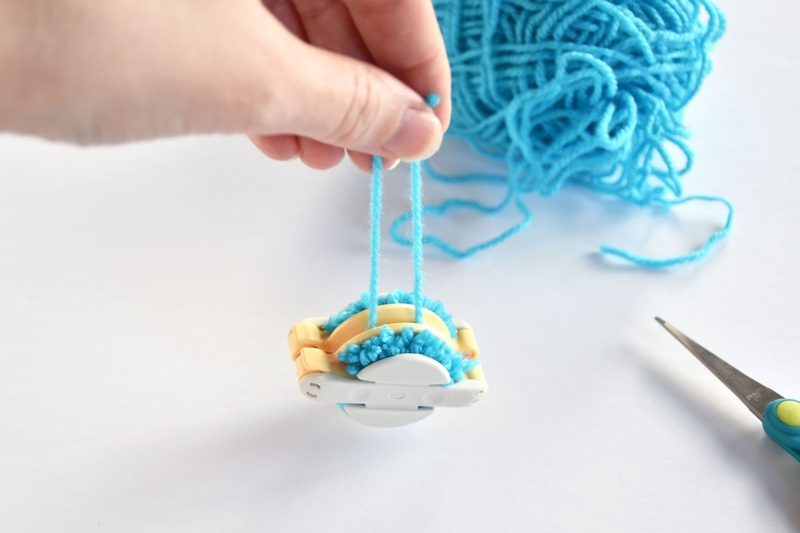 My kids quickly discovered that they could wrap two colours of yarn around the Clover pom pom maker at once to create cool mixed-colour pom poms. 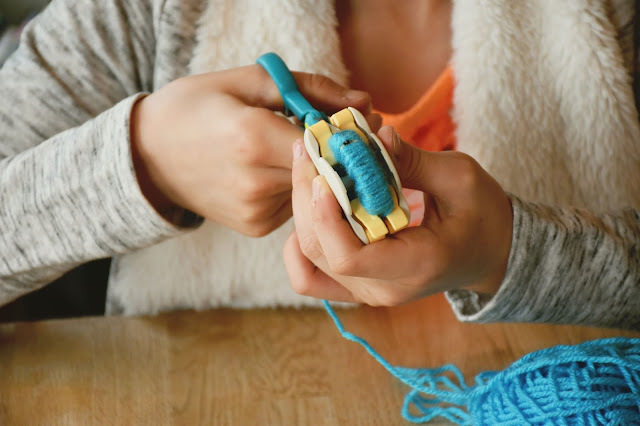 You could also use a different texture or type of yarn. The sky's the limit! This is our first official Woman in Real Life YouTube video, so check it out and let us know what you think! Take a moment to subscribe if you would like to see more craft and recipe videos in future. Open the Clover pom pom maker. 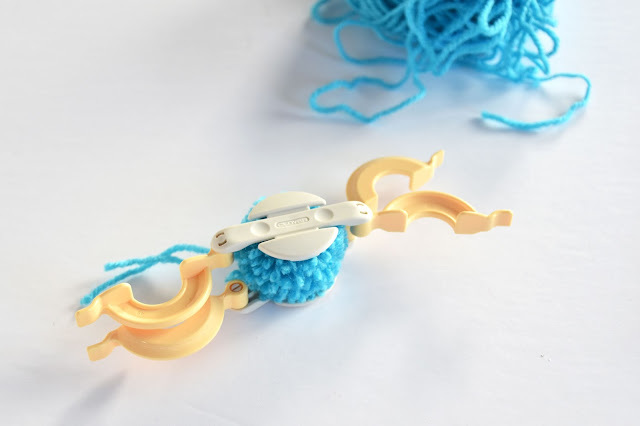 Begin wrapping the yarn around the two lined-up posts on one side of the pom pom maker. Be sure to cover the yellow area completely (at least twice). More yarn means a fuller pom pom. Finish wrapping one side at the end that meets the other side. Close the side you have wrapped. Begin wrapping the second side. 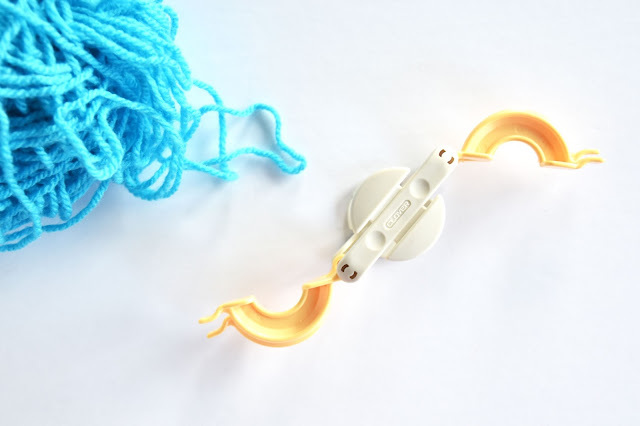 Once you have finished, cut off the yarn. 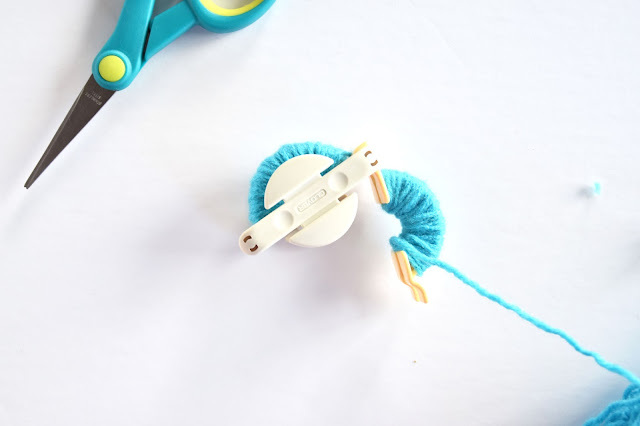 With the scissors, trim through the middle of the yarn in the groove all the way around the pom pom maker. 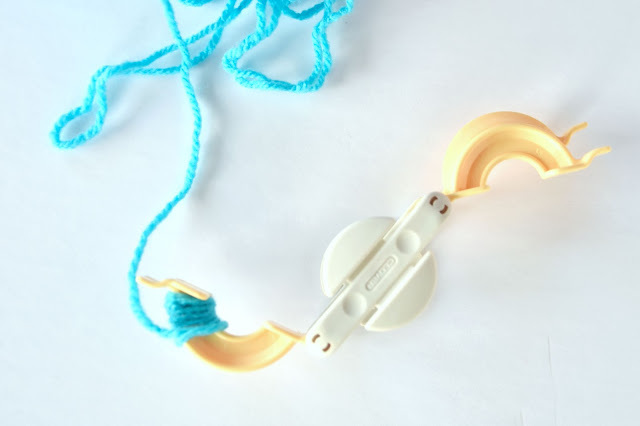 Cut a short piece of yarn, feed it though the groove in the pom pom maker and tie it tightly. Pull the two sides of the pom pom maker apart to release your fluffy new pom pom. Now for the most fun part - give your pom pom a wee haircut! This part is addictive. 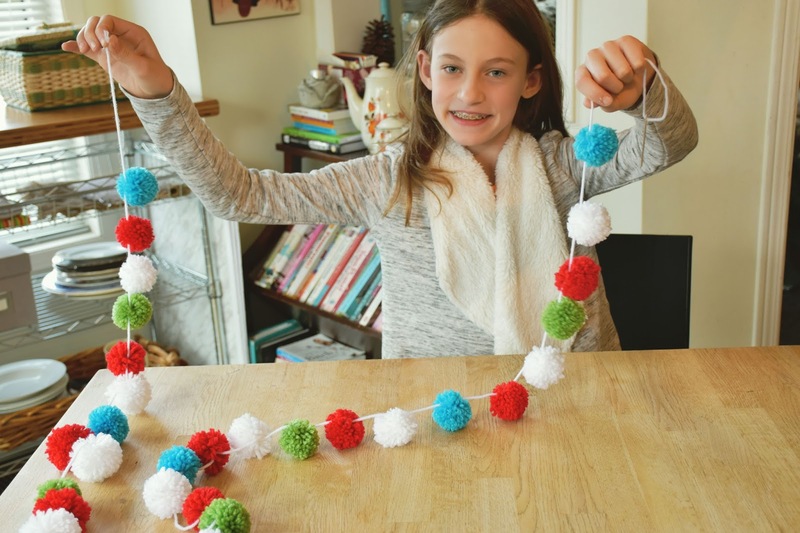 Don't go nuts and make your pom pom too small! 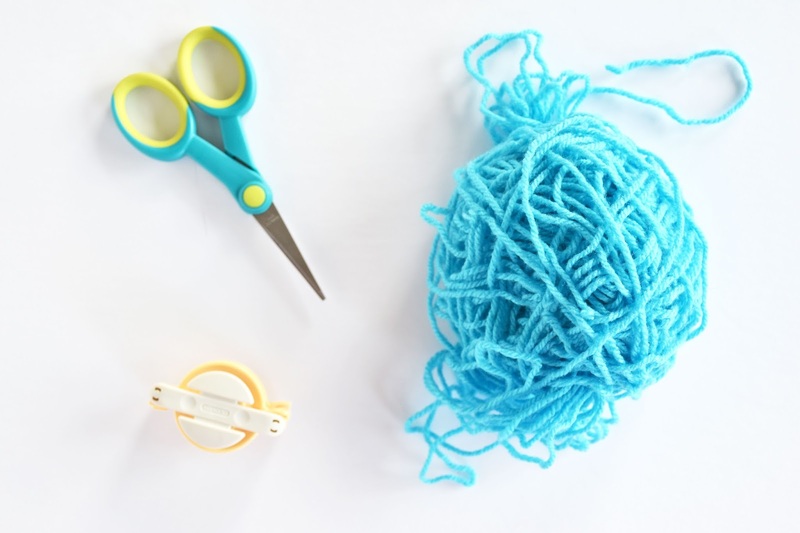 Use the darning needle to string your pom poms onto a long piece of yarn, twine or string. We guided our needle through the small pieces of yarn that hold each pom pom together. 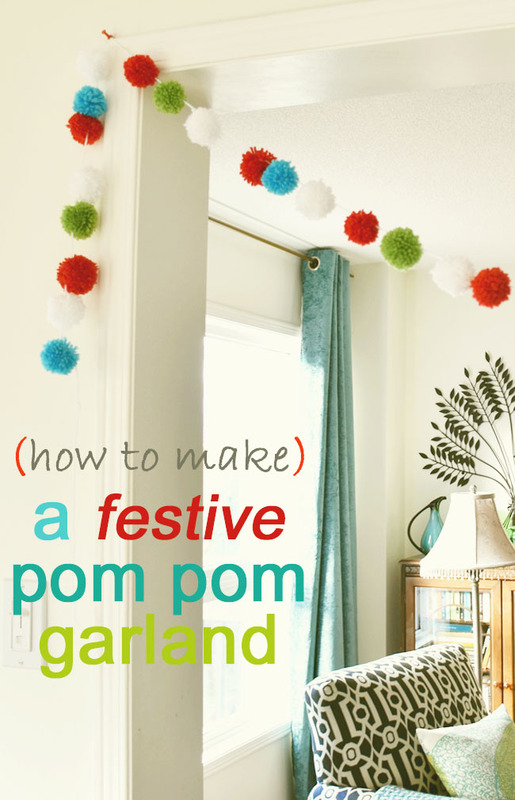 I really like the cheerfulness this festive Christmas pom pom garland adds to our family room. 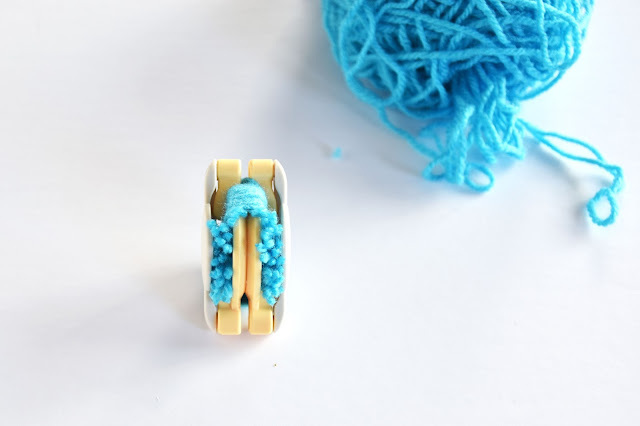 Now I'm on to making a knitted garland on the tiny loom I got when I was a young girl. I'm a woman obsessed! 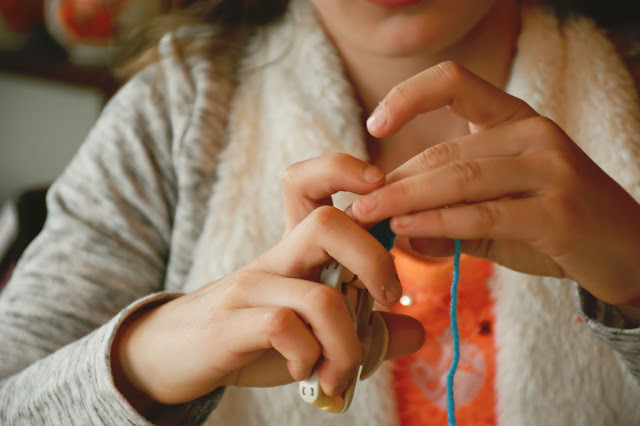 Have you made any garlands? 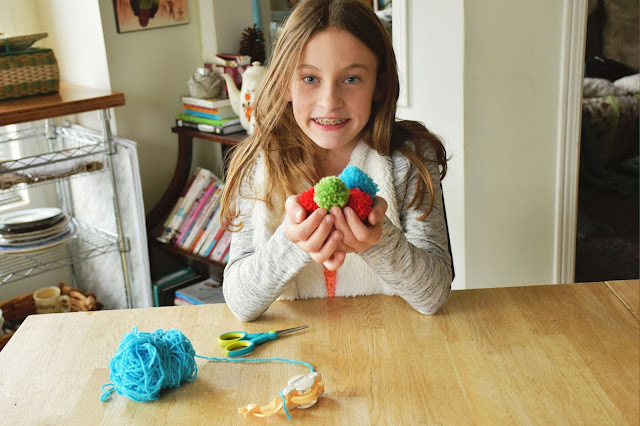 Have you used the Clover pom pom maker? Or do you make pom poms another way? I watched the video. The explanations are very clear & easy to follow. Well done to the young lady! I would like to put my order in for the beautiful garland, great video. Also how did you hang the ball of the ceiling lights? We are not currently taking orders, ha ha. Talk to the kids about making you some though. I put the three big ornaments on a string of beads and then hung the beads from the ceiling light and tied the ends of the bead string together. Simple. :) I'm surprised there is only one dog on the couch!